As we age, a number of factors impact the health of our tissues. Good nutrition combined with good oral hygiene practices and a healthy lifestyle helps to decrease the likelihood of developing acute or chronic ailments. The choices we make, our genetic predispositions as well as circumstances outside of our control come together to determine our quality of life. 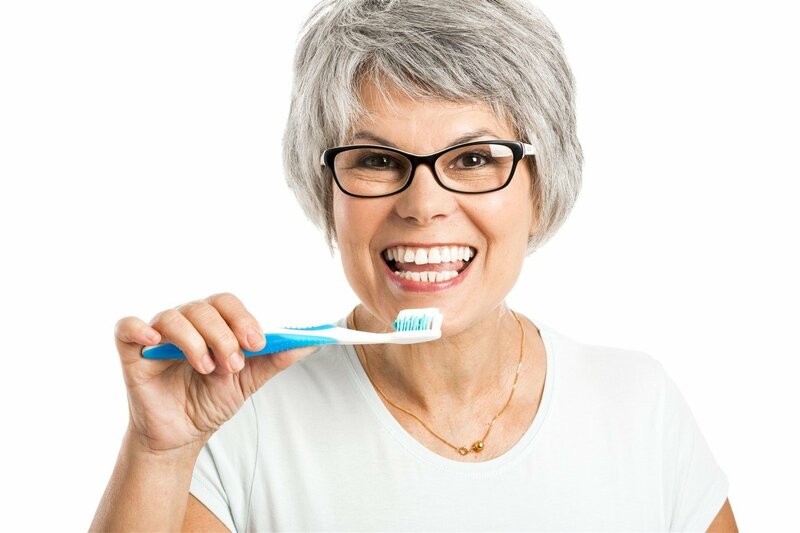 Here are some of the ways that you can help avoid developing the most common oral health concerns in aging patients. Gum disease and periodontal disease occur when harmful bacterial cultures inside the mouth become overrepresented, and damage to the tissues occurs. Plaque bacteria collects around the teeth and gums and causes an acidic environment in the mouth. With time, this acidic environment can result in tooth decay and inflammation of the soft tissues. When the soft tissues of the gums become chronically inflamed, they can begin to retract from the surface of the teeth that they are intended to support. The resulting gap between the teeth and the gums can become a nesting ground for bacteria to proliferate and tunnel down the root system channels of the teeth. In chronic cases of periodontitis, infection can begin to take hold in the soft tissues and may require antibiotics and surgery to correct. As bacteria travel down the tooth into the subgingival layers of the jaw, it is common to see cavities develop along the roots of teeth. Root decay is more difficult to prevent than regular caries, since the protective gum tissue that is intended to cover the root is not present and the roots themselves do not have the same layer of protective enamel that the protruding portions of the tooth and crown do. In this painful condition, cavities are seen to develop much quicker and progress at an equally fast rate. Standard oral care (brushing and flossing regularly) is often all that is needed to prevent the onset of gum disease and periodontitis. There is evidence to support a correlation between diabetes and the prevalence of gum disease. For this reason, we urge our diabetic patients to take strict care of their oral health and to consume a diet that is rich in the nutrients their teeth need to remain strong and healthy. If you struggle to maintain healthy gums, speak to your dentist about what prescription rinses may assist you in your efforts. Oral cancers are most often seen in older patients after years of cumulative tobacco use. Signs are often seen as being white or red patches on the gum tissues, or sores in the mouth which do not heal. We encourage any of our patients who are suffering with a canker-type sore or lesion in the mouth which has not shown signs of healing after more than two weeks to see their dentist for an assessment. Non-cancerous sores may be treated, or biopsies may be taken to determine the cause of the change in the tissues. Since early signs of oral cancers may be easily overlooked, your best bet is to get it checked. Although a dry mouth is not a normal sign of aging, it is a common side effect of many of the medications prescribed to aging patients. Dry mouth can contribute to halitosis (bad breath), as well as make eating and speaking uncomfortable or difficult. Additionally, a mouth that is dry has lost the cleansing effect of saliva and may become more susceptible to the effects of plaque and decay. If you are taking medications which are causing a dry mouth side effect, we encourage you to discuss this with your dentist and medical professional. Where dosages or medications cannot be altered, chewing sugar-free gum and drinking lots of fresh water can help mitigate the effects of the dry mouth condition. If, however, the problem persists, your dentist may recommend a gel lubricant to help keep the tissues of the mouth moist. You can encourage healthy saliva production by avoiding tobacco products, coffee and other acidic beverages like alcohol. For many of our aging patients, arthritis in the joints of the hands make effective brushing and flossing difficult to perform effectively. These concerns can often be assisted by implementing the use of an electric toothbrush, or by increasing the surface area of the toothbrush handle. This can be accomplished either by wrapping several large elastic bands around the handle of the toothbrush, or by attaching the toothbrush to a tennis ball that has had a hole drilled through it to allow the handle to be inserted into the ball before being reinforced with tape. 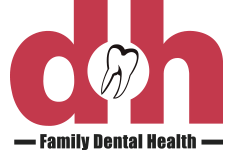 Maintaining a regular appointment schedule with your dentist is another great way to avoid oral health issues. By visiting your dentist regularly, changes in your oral health can be assessed and monitored in order to prevent or address challenges as soon as possible.